So here we are again. It is a new month and with that came my Degustabox. For those of you who are not familiar with Degustabox, it is a subscription service that once a month sends a surprise box of unique treats. Some you might be familiar with, some you may have forgotten about, and others are brand new, not even on the market yet. It is a fun day every month when it arrives. No matter what I always have to shake it first like a holiday present just to try and guess what might be inside. So here are the contents of the August 2016 Degustabox. ALO Allure Pulp Free - I was hesitant to try another aloe based drink since all the other aloe drinks I have tasted in the past were, lets say, less then appealing to my palate. This product however is different, with the pulp removed, the texture (yes I said texture) of the drink is much better. A hint of mango provides the tropical sweetness and it turned out to be very good and refreshing, not medicinal like most other aloe drinks. 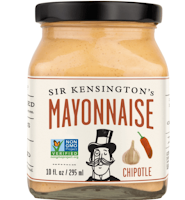 Sir Kensington's Chipolte Mayonnaise - So you take a kitchen staple like mayonnaise and blend in some chipotle, garlic, and tomato next thing you know the standard club sandwich really gets kicked up a few notches. 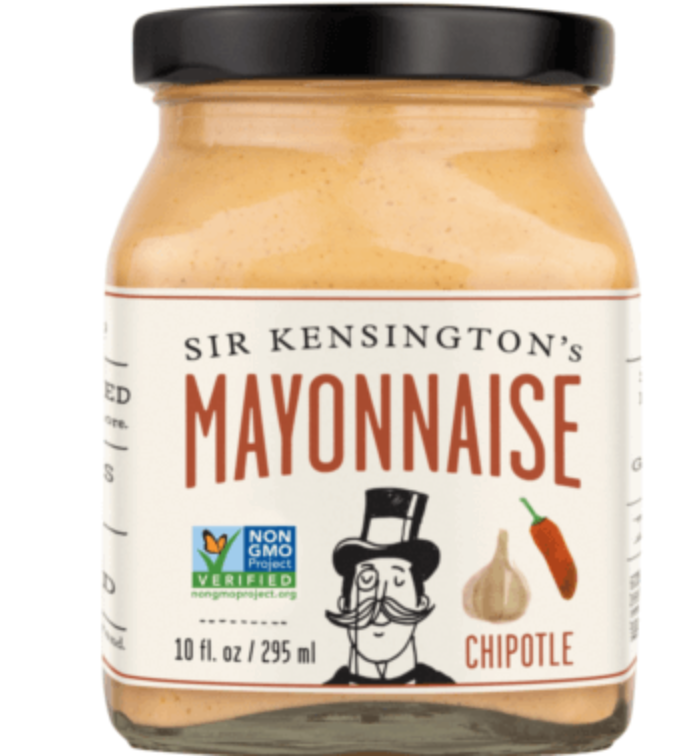 I am not a huge mayonnaise fan, but this one provided the smokey heat my husband loved and he enjoyed it very much. PopChips - So we are all familiar with the Popchip. 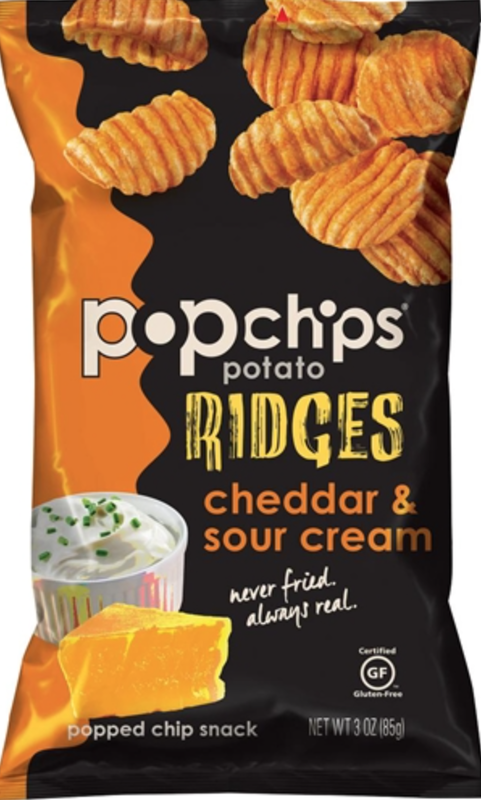 They have only been around for a few years, but Popchips have taken the snacking world by storm. The latest creation of ridges really adds some extra crunch which will satisfy any snacker. I love how popchips got their name. As the story I heard goes, Popchips are cooked under intense pressure without any oil just hot air. When the pressure is released the sliced potatoes suddenly expand and trap air inside. This sudden expansion creates a popping sound. 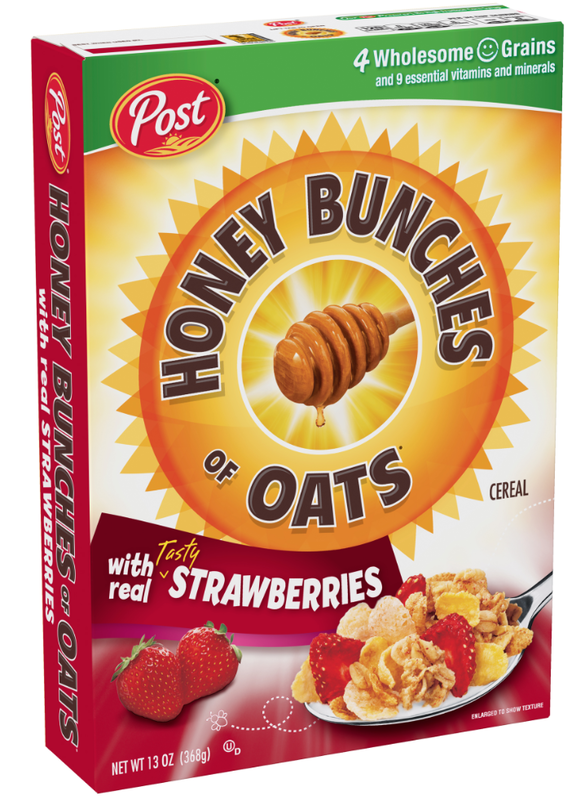 Post Honey Bunches Of Oats with Strawberries - I do love my Post cereals. And Honey Bunches of Oats is one of my favorites. Just the name Post reminds me of my favorite kid's cereals. With Honey Bunches of Oats the cereal has grown up. I love the oat bunches, probably the best granola out there. The strawberries are very good. This will be a go to breakfast when I need something quick. 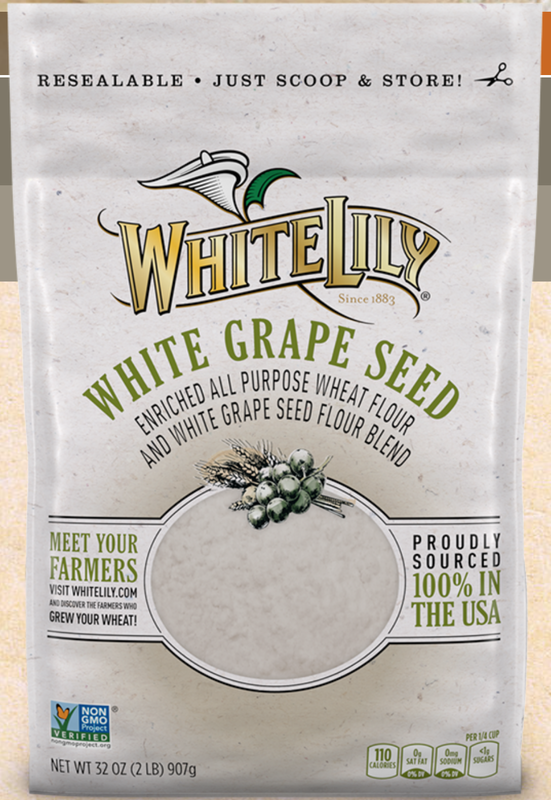 White Lily - White Grape and Wheat Flour- So here is the thing about me, I am not the biggest baker out there. Every now and then a recipe may pop up that I do want to try. After reading about how every bag of White Lily flower can be traced to the farmer who grew the wheat I have to say I am impressed. I will look for a holiday recipe for this product. 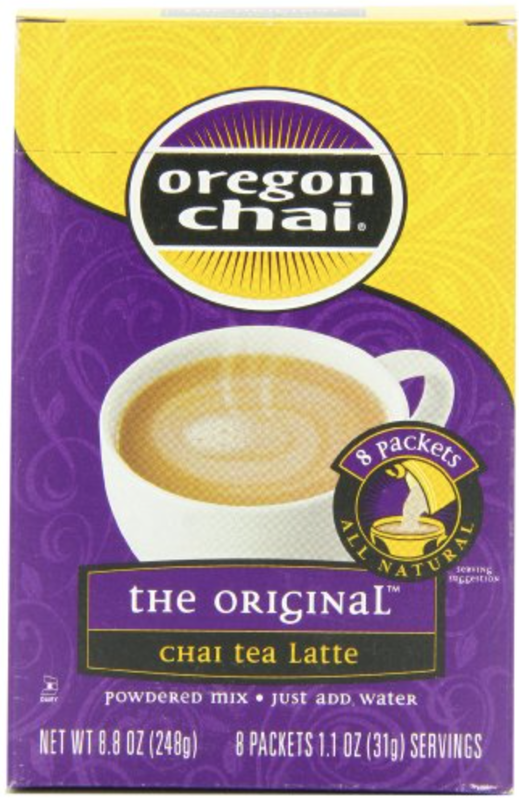 Oregon Chai Powdered Tea - This one is very good. The spices are perfect and as for convenience you just can't go wrong with a powdered mix. Usually a powdered mix does not create a smooth creamy drink, but this one did. Vermont Smoke and Cure Mini Meat Sticks - There were two kinds of meat sticks in my Degustabox. 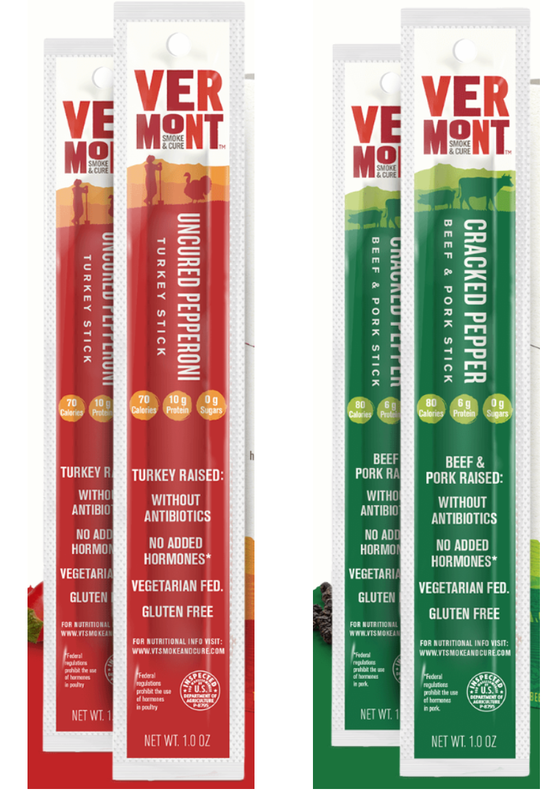 What I love about Vermont Smoke and Cure meat sticks is they are healthy. Animals are raised without hormones, antibiotics, and fed a natural vegetarian diet. This provides a very lean protein packed treat. The seasoning was great. Just the right amount of spice. Both the peperoni and the cracked pepper flavors are excellent. So much better then any other meat sticks on the market. 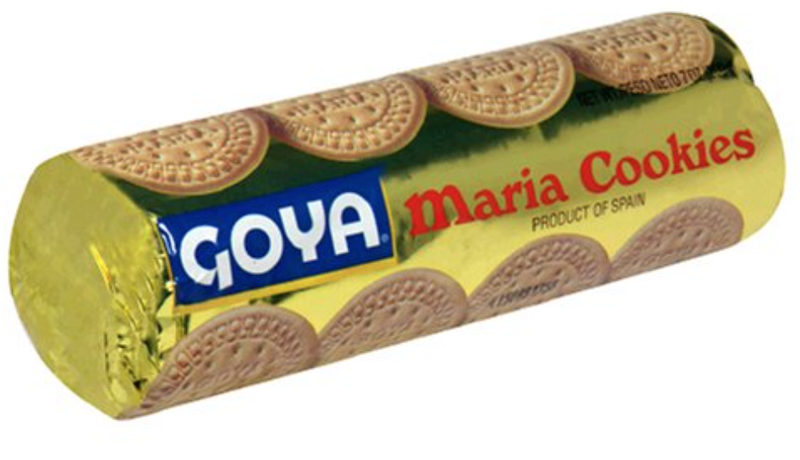 Goya Marie Cookies - Here is a great treat I had forgotten about. I have not had one of these biscuits (yes they are called biscuits in England, who created them) in years. They are sweet with a great crunch.Super yummy! So here is my recipe for one of the best Ice Cream Sandwiches ever. 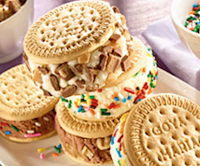 Just take two Goya Marie Cookies and a generous scoop of your favorite ice cream. Spread some sprinkles (rainbow or chocolate) on a plate. For a bit more fun freeze your favorite candy bar, place it in a plastic baggy, and smash it with a frying pan, yep just give it a whack. It will shatter. Sprinkle the broken up candy bar on a plate and roll the sides of the ice cream sandwich in it. Done. Enjoy right then or keep in the freezer for later. 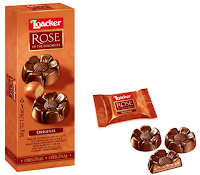 Loacker - Rose of the Dolomite - These have to be one of the prettiest candies out there. 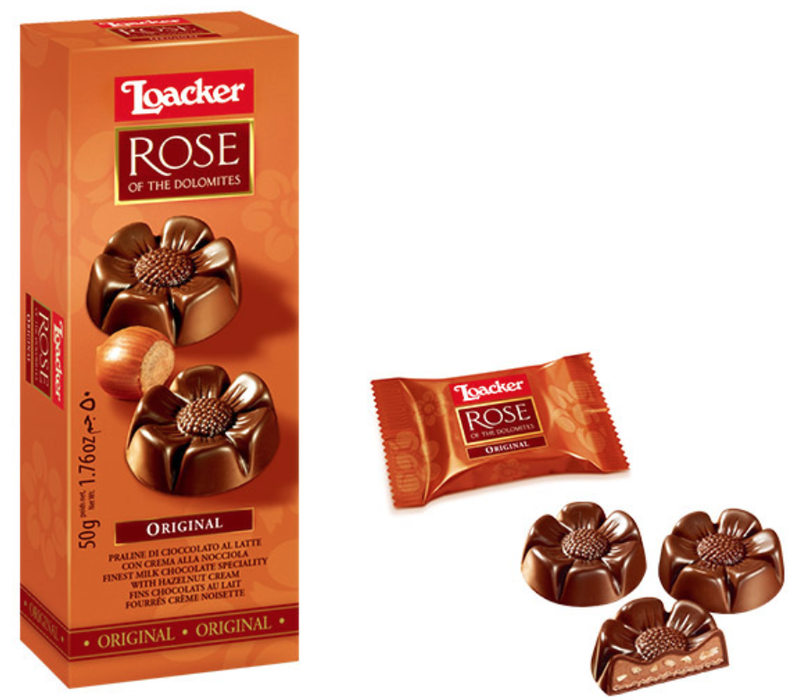 The rose shape hides a delicious hazelnut butter with hazelnut bits. This is a very delicate and rich candy. I found it to be very yummy! 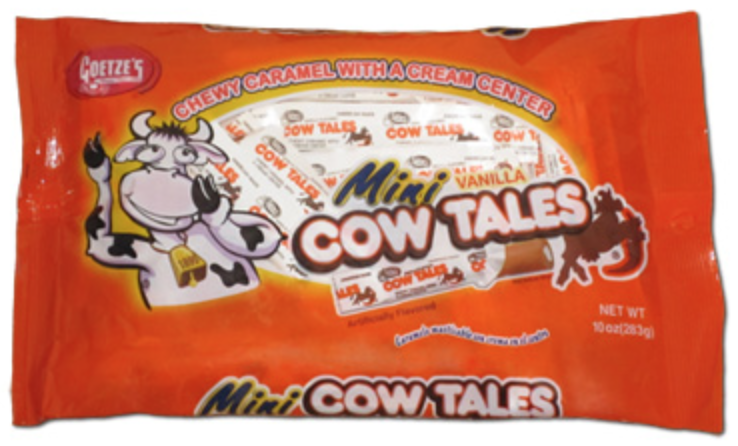 Goetze's Cow Tales - OK, so not everything in a surprise box can be a winner. I have never tried a Cow Tale before so I was intrigued. What we have here is a hollow tube of caramel filled with some kind of white cream center. I am sure there is a devoted following for this candy, but I am not one of them. I hope you have enjoyed my review of the August Degustabox. Thank you for reading my blog!